Hovercraft is an event where teams must design and build a hovercraft. It is a Division B and Division C event for the 2017 and 2018 seasons. Teams will build self-propelled air-levitated vehicles, and also take a test on classical mechanics and other similar topics. New this year, this event involves both a construction and a test. 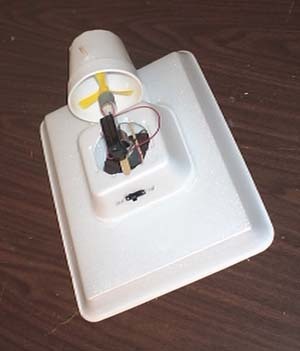 Students will build a mini-hovercraft, which they will bring to the event. They will also need to take a test about classic mechanics. Description: This is a construction event. Prior to the competition teams will build and test a device powered by up to 2 battery-powered motors that will move a device down a track.